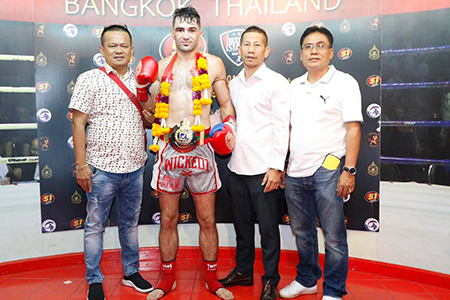 Rafi Bohic from France is set to fight against Chadd Collins from Australia on 26th of December 2017 at Lumpinee Boxing Stadium. Unfortunately, due to a viral infection which stopped Chadd from training over the past few days before the event against Rafi has been called off. 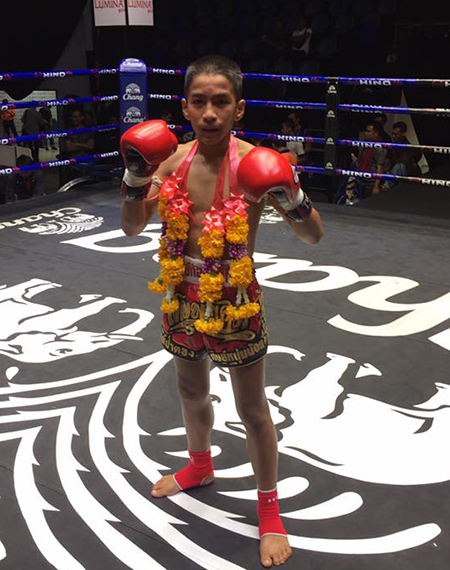 A Thai fighter Simanoot Sor Sarinya took place on the card against Rafi Bohic. Monday, 25th of December official weigh-in both fighters weighed under the 147lb weight limit. Rafi hit the scales at 145lbs. while Simanoot hit the scales at 144.4lbs. 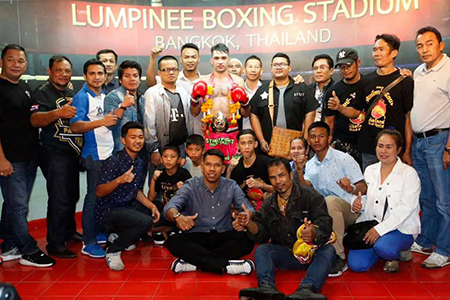 On December 26, Rafi won the Lumpinee Welterweight Title belt against Simanoot on points. 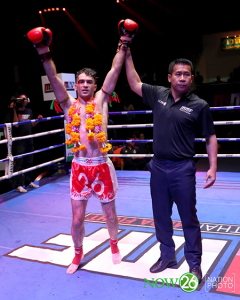 Another history made in Muay Thai, this is the second time that a foreign representative of Singpatong Sitnumnoi Gym won the prestige Lumpinee title belt in Bangkok, Thailand. 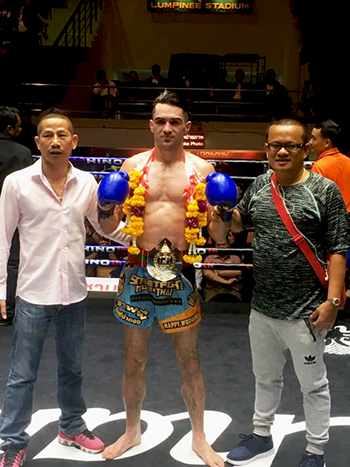 Tuesday, 20th June 2017- Rafi Bohic made a new history in his Muay Thai career in Thailand, as he became the New Welterweight Champion in Lumpinee boxing stadium by beating a Thai boxer Pongsiri PK Saenchai on points. 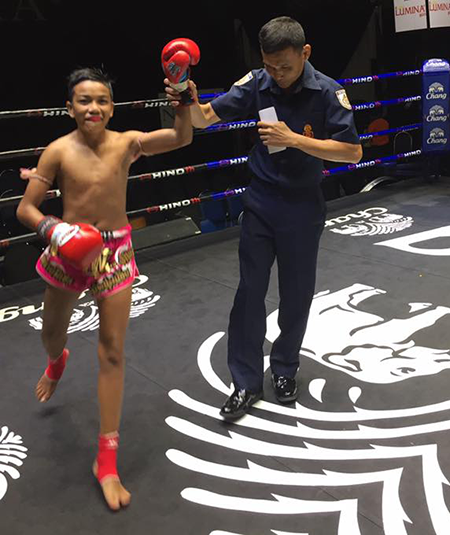 Last year in September and October, Rafi fought Pongsiri twice for the title belt in Lumpinee but lose the two title bouts, yesterday Rafi had tremendous victory by winning one of the prestigious title belt of the world in the sports of Muay Thai. 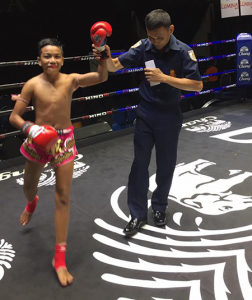 Every Muay Thai boxers dream to win a title belt in the biggest stadium in Thailand like Lumpinee and Rajadamnern. 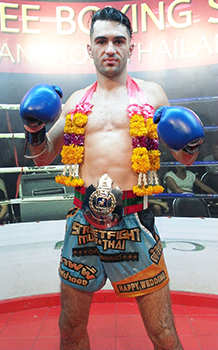 Rafi Bohic is the third French Muay Thai earned a title belt in Lumpinee, followed by Damien Almos in 2012 and Morad Sari in 1991. It was an incredible fight to Mr. Numnoi and to all the trainers of Singpatong who always dedicate their passion in teaching Muay Thai to our fighters. 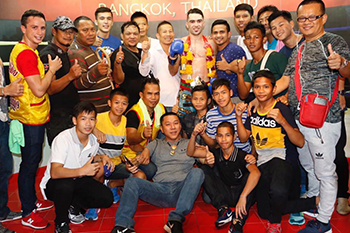 Congratulations to our New welterweight lumpinee champion Rafi Bohic. 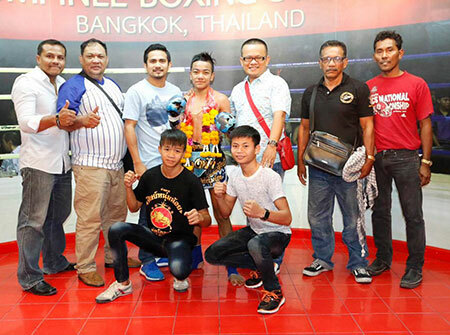 Friday, 13th of May in SUK PETCH NUMNOI FIGHT at Ramintra Lumpinee Stadium. Team Singpatong got three straight wins on the event. 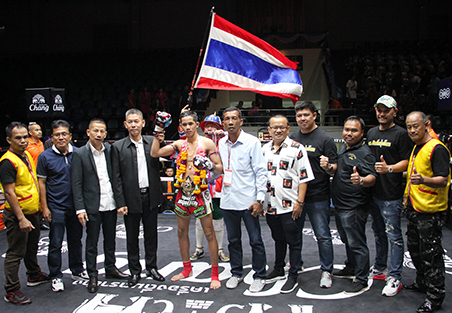 The first four-fight on the fight card aired live by Thai TV Channel NOW26, and Rafi Singpatong bout aired in the last set of the match. You can watch the video here NOW26. 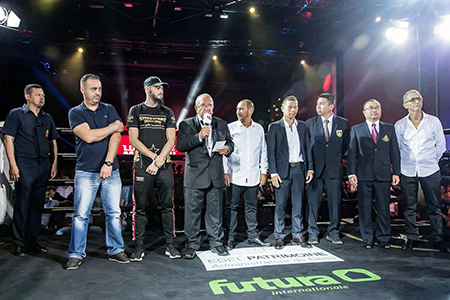 Fighters do sprint and shadow boxing every morning, sparring and clinching sessions every afternoon and finally all their hard work in training pay-off. French Nak Muay Rafi Bohic faced Yodrwut from Kaowkri Gym last night. Both fighters showed impressive techniques. 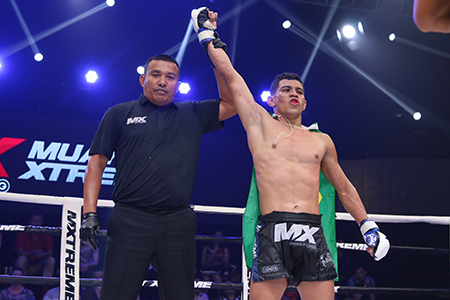 In the fourth round, both fighters started throwing a hard kick and Rafi landed a hard kick to Yodrwut that make him knock-out in the fourth round.